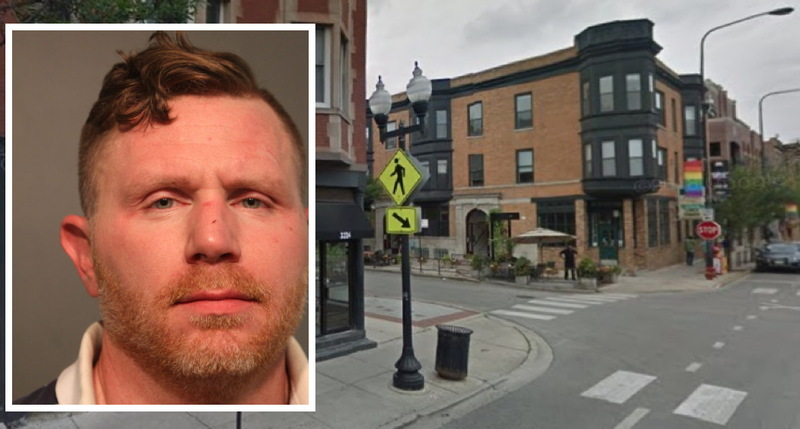 A Georgia man is accused of punching a woman in the head and then punching a responding police officer in the eye during a racially-charged incident on the Boystown bar strip early Saturday morning. Patrol officers who were conducting an unrelated traffic stop in the 3300 block of North Halsted saw 34-year-old Robert Buschman walk up to a 25-year-old woman and punch her in the face repeatedly near the southwest corner of Halsted and Aldine at 1:52 a.m., according to a police spokesperson and a police report. The officers intervened in the incident at which time Buschman struck one of them in the eye, calling the male cop a “black b*tch n*gger,” according to an arrest report. The woman, who is of Hispanic descent, officers that she had never met Buschman before he walked up to her, yelled “F*ck you, immigrant b*tch” and struck her in the face. The officer suffered minor injuries and swelling to the eye. Prosecutors charged Buschman with felony aggravated battery of a police officer and misdemeanor battery. Judge Sophia Atcherson ordered Buschman held in lieu of $5,000. That means Buschman can go free by posting a $500 deposit.